TV with Thinus: TV CRITIC'S NOTEBOOK: Has Mzansi Magic gotten tired of Idols? With no pre- nor post-publicity for the first time for Theatre Week during its 14th season, the media wonder to what level the show still matters to M-Net. TV CRITIC'S NOTEBOOK: Has Mzansi Magic gotten tired of Idols? With no pre- nor post-publicity for the first time for Theatre Week during its 14th season, the media wonder to what level the show still matters to M-Net. 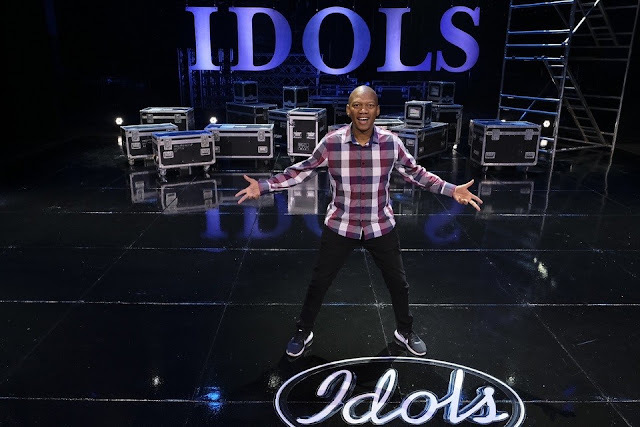 Neither before the 95 hopefuls arrived at the Wild Coast Sun, nor after they were cut down to the 16 who remained during the so-called Theatre Week, did Mzansi Magic (DStv 161) bother to reach out to do any pre- or post-publicity for this part of the 14th season of Idols. This has left the Press Covering Television wondering whether the channel is itself still interested in the show. In a very noticeable break from previous seasons of the [SIC] Entertainment produced show currently in its 14th season on Sundays on Mzansi Magic, the M-Net packaged channel has for the first time deviated from past practice in terms of communicating with the media when it comes to Theatre Week. In past seasons, first when the show was on M-Net, and later when it moved to sister channel Mzansi Magic, publicists would always notify the press and TV critics when it would be taking place and filmed, and also invite and give some media access during the filming to observe and do interviews and bank stories for later. Secondly, before the actual broadcast date, and again afterwards, there would be press releases issued about Idols' Theatre Week - before the time to alert the media (and thereby viewers) that the first Theatre Week episode is going to be shown, and afterwards about who made it through. This year Mzansi Magic is treating Idols quite differently, without explanation to the press, having done neither. While publicists attended the 14th season Idols Theatre Week at the Wild Coast Sun that took place during March this year, there was no engagement with the media about it either before or afterwards. The media covering Idols were ignored and kept away from the Port Edward phase in southern KwaZulu-Natal. Cue the broadcasting date of the Theatre Week episodes - and again nothing from Mzansi Magic either before or during the broadcast of Theatre Week episodes. Further keep in mind that there was no advisory this year about the Idols Extra channel running on MultiChoice's DStv satellite pay-TV platform. Mzansi Magic had to be asked about it, instead of volunteering the additional information without being asked as in the past. Eaxctly a year ago on 6 August 2017, Mzansi Magic still gushed with numerous Idols press releases, especially and including before the broadcast of Theatre Week like "Idols S13 Episode 5: Theatre Week gets off on a high and a low". Mzansi Magic and Idols would take the time to carefully explain what's new, what will change, quotes from the judges and some of what viewers can look forward to see during Theatre Week. So, if Mzansi Magic doesn't seem to care about Idols anymore, should the media tracking, covering and reporting about it, care? It could very well be that the Idols ratings are so great that Mzansi Magic and Idols don't feel the need to do anything else; viewers are watching anyway. It could very well be that Idols is no longer, or less of, a priority show for Mzansi Magic, resulting in less attention and publicity efforts devoted to it. It could also be several other things. Who knows? The end result is that there's likely less coverage of Idols this season so far in the media, and very likely less coverage of Theatre Week. Theatre Week is the front-end "big moment" of the show before the weekly live performances and eliminations during the middle, and then the big fanfare live finale "big moment" at the end. If the first big event of Idols' 14th season doesn't matter or warranted any attention from Mzansi Magic as something important enough to involve the media in, will the middle, or even the end?